From the home all the way to Enterprise business, whether at a workstation or via mobile device, email remains a stalwart communication means, having mostly replaced paper and considered critical to daily functions. Adept’s range of services offer a blend of flexibility, convenience and peace of mind when it comes to deciding on mail hosting requirements. Virtual Mail lets your mail find you online, through any viable Internet connection and your preferred mail client software. You can also access your mail through our Webmail feature on your browser. Adept’s Mimecast offerings provide enterprise-level mail continuity, ensuring information is readily available and securely archived. They feature an always-on solution that reduces the complexities of managing your email environment. There are three distinct services to choose from, which can also be combined into one unified solution to encompass all email security and archiving needs. All mail hosting services feature an included commercial anti-spam solution, manageable through a user-friendly web-based front end. 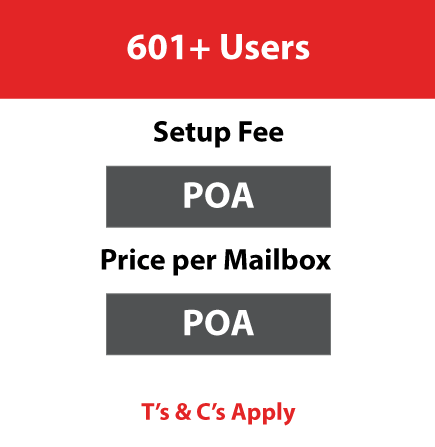 Protect your domain and mail services from up to 98% of all spam mail with this easy-to-use and powerful commercial anti-spam solution. The ability to access email is a ubiquitous function in both personal and professional spheres. The aspects of security and flexibility are, however, often overlooked. The range of available options plays a significant role in determining the best-suited implementation of an email solution. 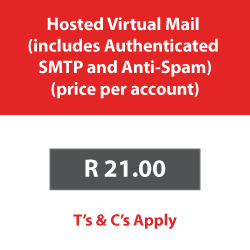 The Virtual Mail service’s core consists of a mailbox (or set of mailboxes) located on a Linux-based mail server farm (group of servers), allowing users to access their mail by means of IMAP or POP3 email protocols, from any Internet location. 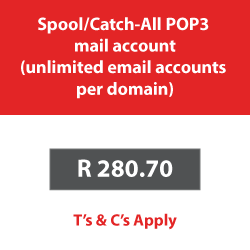 A user’s mail is retained within the mailbox on server until downloaded with the POP3 protocol, or remains on the server if synchronizing using the IMAP protocol. 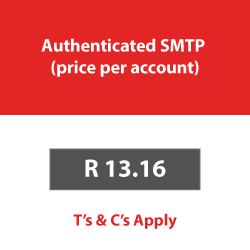 The service may also be coupled to an SMTP authenticated mail offering. It also supports SSL protocols for additional security. 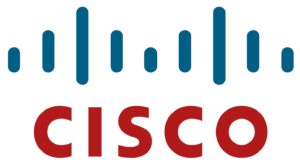 Many organizations have implemented collaboration tools for their business-critical messaging requirements. Over time, new threats and data governance issues emerge which require additional functionality to be added onto the original messaging platform. 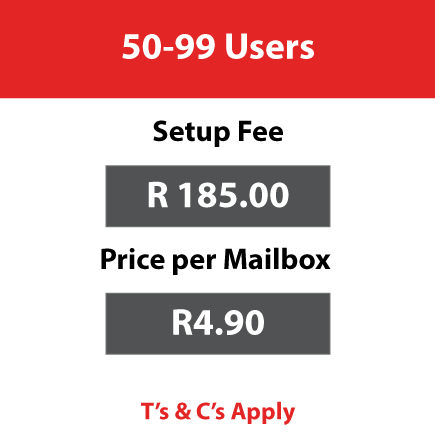 In the case of email, the infrastructure often becomes too costly to manage and upgrade, even for the well-equipped ICT departments. To solve these problems, enforce a consistent email policy and reduce risk, ICT departments often supplement their email server with multiple point technologies. Disparate solutions are stitched together to provide archiving, continuity, encryption, threat detection and other vital services. The result is a fragmented, complex and expensive email environment that occupies server rooms with unnecessary infrastructure. All of these point solutions need to be configured to keep operating in the event that a business disaster occurs, ensuring that the organization doesn’t expose itself to additional risk when it’s in its most vulnerable state. Mimecast services provide enterprise-level mail continuity, ensuring information is readily available and securely archived. They feature an always-on solution that reduces the complexities of managing your email environment. Mimecast offers distinctive services, which can be utilised individually or as a single amalgamated solution. Interested in getting your email protected? Contact us for a quote! Preventative measure against both URL and attachment-based incursions. Prevention safeguards against the sending of confidential information. Includes Basic Gateway Security (antivirus & antispam) and 30-day retention. Document Services gives you control over sent or received attachments. 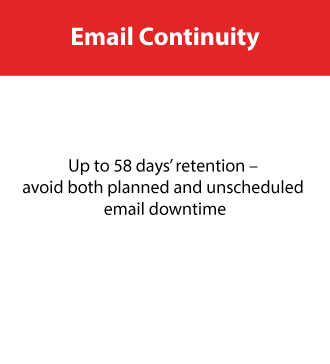 Up to 58 days’ retention – avoid both planned and unscheduled email downtime. Up to 99 years retention – scalable, secure, and including cloud-based, file-based and Lync archiving. 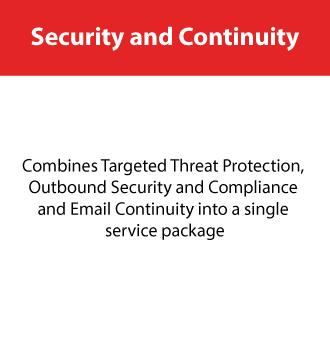 Combines Targeted Threat Protection, Outbound Security and Compliance and Email Continuity into a single service package. 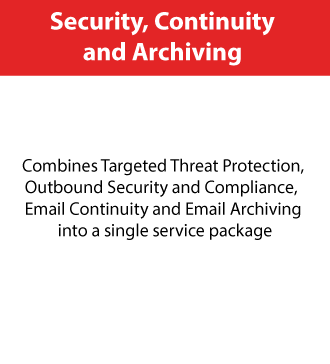 Combines Targeted Threat Protection, Outbound Security and Compliance, Email Continuity and Email Archiving into a single service package. The Adept anti-spam service is a commercial service that is up to 98% effective at stopping spam and virus emails. The anti-spam server scans all emails for spam, before being sent on to the destination email server. Clients can manage Adept anti-spam with an easy-to-use web front end. The client is required to have registered their own domain. They can either have virtual mail linked to their domain, or their mail is hosted on their own email server.